Which is the best copy of the Heeresbergführerabzeichen in the market now? Looks quite good! The only thing you have to be carefull is that the needle is thik enough. I lost one because of that! So correct me if I`m wrong the BERGFÜHRER badge is sewn onto the left pocket. Was a mountain leader in the forces so thought it was correct to wear one. Yep, left pocket...An ML, fantastic! Were you at Stonehouse? Did all my ML training at Towyn, then returned to do Top Rope and Abseiling training then Rock Climbing. Was based with the outward bound unit in HMS Sultan, but did spend time at Capel Curig. Thought it was ok to wear one. wasn't room, ive seen pics of it being worn on either pocket. 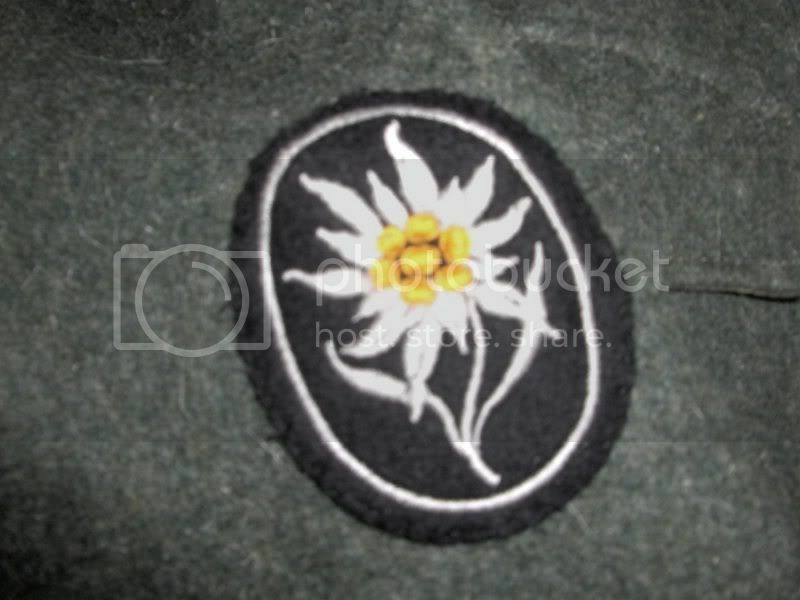 So would I be wrong in sewing this badge on my left pocket, I have the correct sleeve one on, but was told this signified a Mountain Leader and as quoted " BERGFÜHRER Mountain leader This was worn on the left breast pocket" from previous post at the begining. as far as iam aware and judging from pics and refs i have seen. 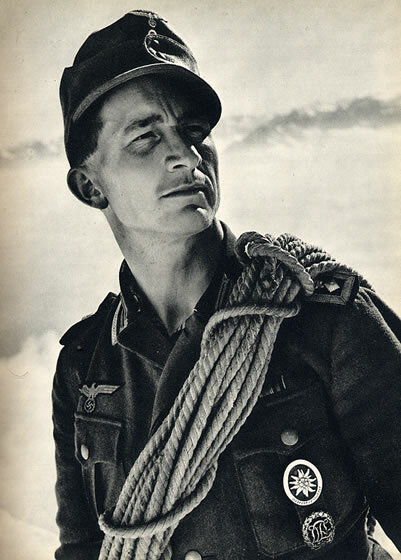 the Bergfuhrer wording this is also worn on the right sleeve and just signifies SS Mountain troops. according to personal choice it seems. any other badge on the left pocket, and if there was no room it was to be worn on the right. Well, I will admit that I am no W-SS expert, but I have been reading my reference books for the past 40 years. 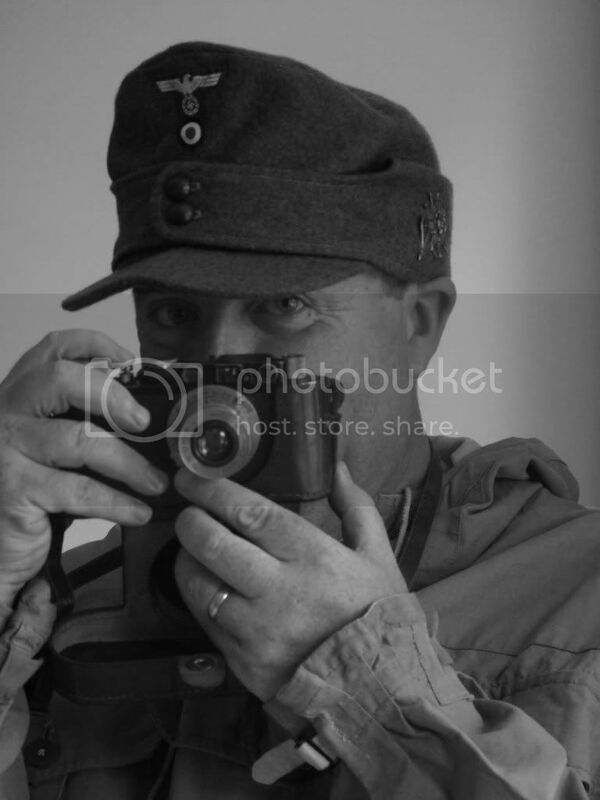 Here's a clearer picture of W-SS Gebirgsjäger cap and sleeve cloth Edelweiß, as well as the W-SS Bergführer cloth badge, according to Roger Bender & Hugh Taylor's book "Uniforms, Organization, and History of the Waffen-SS:"
I hope this clears things up for you Jeff. My badge (see above) is in the wrong place then? Grüß Di' Peiper...Yes, the W-SS cloth sleeve Edelweiß is worn on the right sleeve...the confusion seems to be over the W-SS Bergführer cloth badge which is worn on the left pocket not the right sleeve as you stated. But like I said, I'm not a W-SS expert. So I defer to your expertise.